It's no secret that the world is currently going zero waste crazy right now (and quite rightly) and whilst our house and family are so (so so so) far from being plastic free and completely zero waste in our house, one way we have started to make a change is by cutting back on the amount of food we throw away. Hands up if you cook a Sunday roast and throw the leftovers rest get left to go off and eventually get thrown in the bin, whether that be Sunday night or later in the week when you realise that you put that leftover meat in the fridge but forgot to use it?? We have all done it. All of us...but by making one small change to the way you meal plan and shop, your food waste, and consequently, your food bill can drop dramatically. 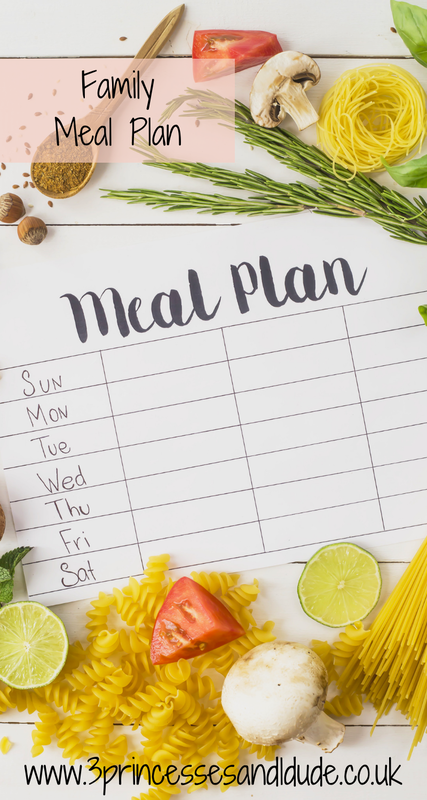 Every week I'm going to share our meal plan that shows just how I am doing this. Top tip #1...Get used to ignoring the dates on things! Use your eyes, your nose and your common sense to tell you if something is edible or not! Cook the gammon in the slow cooker on Monday morning, once cooked split into 3 and refrigerate until you need them later in the week. When you make your dough on Thursday, double the recipe, and refrigerate half until Saturday for pizzas. Your meals sound lovely, we adore gammon carbonara such a great way to use up gammon. Thanks, the kids really enjoyed it! What lovely sounding recipes and a great balanced food week. 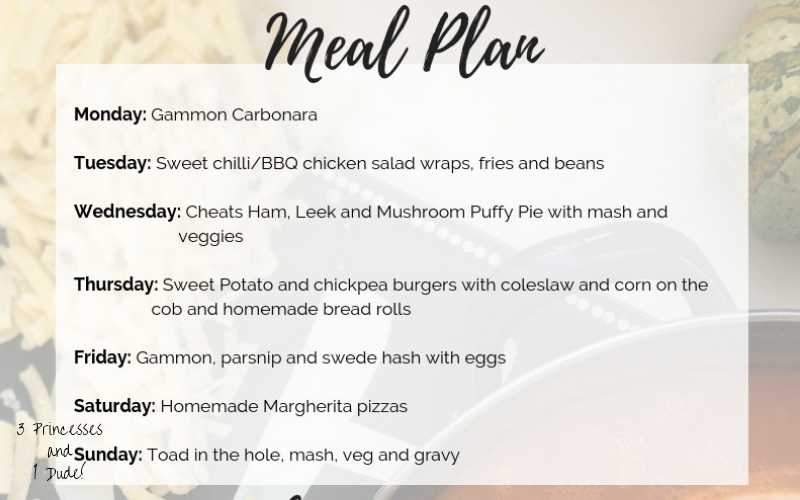 I have really enjoyed starting to meal plan our week, it's the one thing I'm organised over! I love meal planning! Its my fave part of the week! ha ha! Good luck! I ignore the dates on food. A bit of common sense saves waste. We have never had fridays before so its all new for us! Hopefully we all like it!!! I don't go by the dates on food. I am usually at the supermarket in time to buy the reduced food on a Tuesday and Thursday too which helps budget and means we get fresh food really cheap. I try not to waste food now because we really can't afford it . THIS!!! We go shopping at 7 on a Friday and get there just in time for all the good yellow sticker stuff! I am trying my best to also go zero waste but of late I have been failing, need to work on that. We are so far off from being any where near zero waste! But I am finding our food waste has dropped dramatically since changing the way I meal plan!